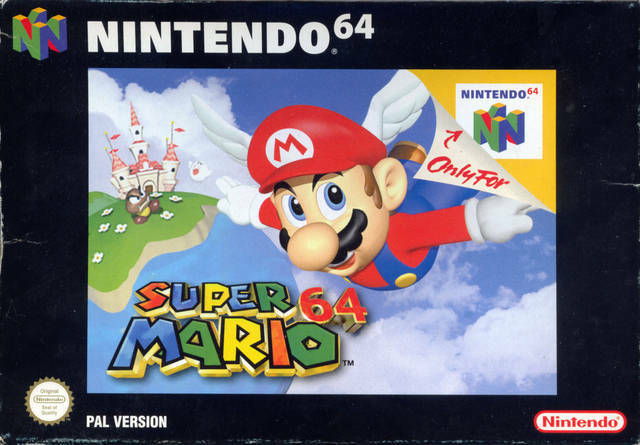 Super Mario 64 is a 3D platformer where the player controls Mario through several courses. Each course is an enclosed world in which the player is free to wander in all directions and discover the environment without time limits. The worlds are filled with enemies that attack Mario as well as friendly creatures that provide assistance, offer information, or ask a favor (such as pink "peace-loving" Bob-omb Buddies). The player gathers stars in each course; some stars only appear after completing certain tasks, often hinted at by the name of the course. These challenges include defeating a boss, solving puzzles, racing an opponent, and gathering coins. As more stars are collected, more areas of the castle hub world become accessible. 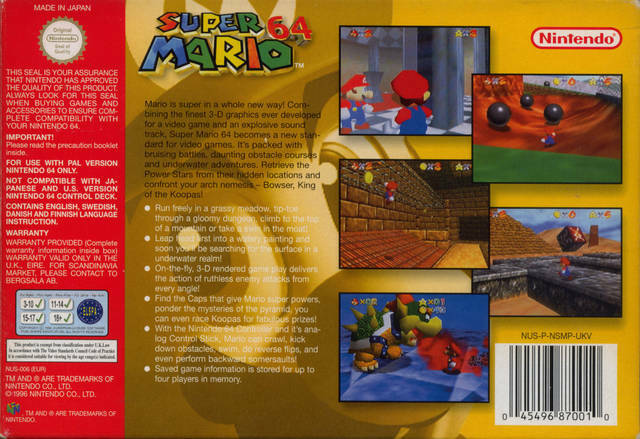 The player unlocks doors in the castle with keys obtained by defeating Bowser in special courses.There are many hidden mini-courses and other secrets to the game, most containing extra stars needed to complete the game entirely. 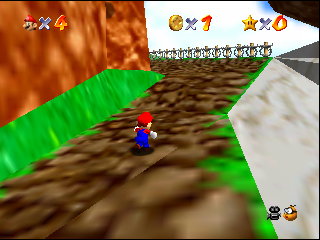 Some courses have special cap power-ups which augment Mario's abilities. 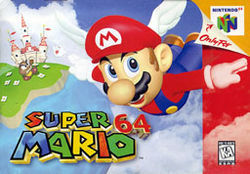 The Wing Cap allows Mario to fly; the Metal Cap makes him immune to most damage, allows him to withstand wind, walk underwater, and be unaffected by noxious gases; and the Vanish Cap renders him partially immaterial and allows him to walk through some obstacles such as wire mesh, as well as granting invulnerability to some forms of damage. 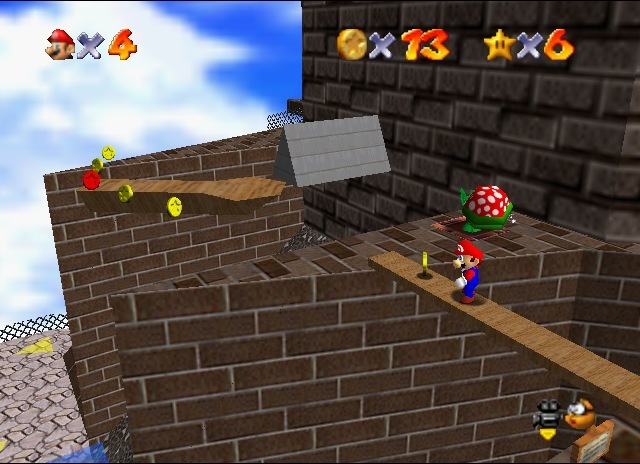 Some courses contain cannons that Mario can access by speaking to a pink Bob-Omb. After entering a cannon, Mario can be shot out to reach distant places. When the player has the Wing Cap equipped, cannons can be used to reach high altitudes or fly across most levels quickly. Now you can add videos, screenshots, or other images (cover scans, disc scans, etc.) 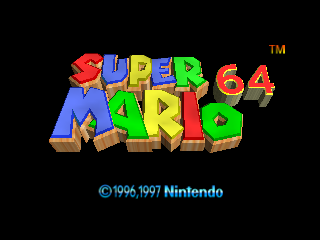 for Super Mario 64 (Europe) (En,Fr,De) to Emuparadise. Do it now!